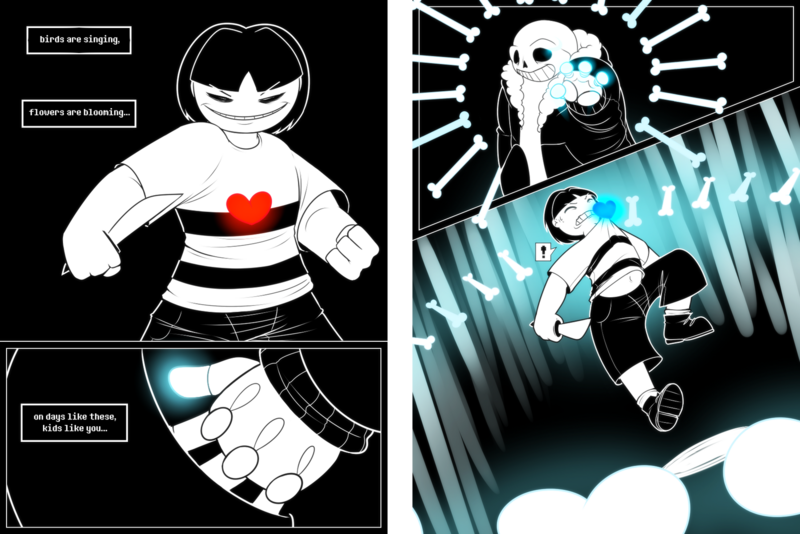 From the creator of the animated Chara Boss Battle and the popular fancomic series Dreemurr-Reborn, comes the final tribute the creator will make to the Undertale fandom and the Dreemurr-Reborn series: 'The End'!... Just keep killing enemies in the area until you get the "But nobody came" message in your random encounters. This means you have killed all the enemies in this area and you can continue on to the boss. Undertale has a lot of endings, and creator Toby Fox has accounted for every possibility in getting them. There are the True Pacifist and Genocide endings at both ends. The neutral paths have at least ten unique endings (and counting?). Finally, there's the "dirty hacker" ending, also known as the "impossible ending" because, well, it's impossible to get. An easy way to end a blog post is to explicitly ask your audience for their input. But I would caution against letting this tactic become a crutch. It's not always the "strongest" way to end. But I would caution against letting this tactic become a crutch. This will take you back to the end of the Core. The elevator just outside the Mettaton battle area will lead you back to the first room of the Core. Simply continue south from there to get back to MTT Resort, where you can find a shop, or continue out elsewhere for other shopping options or sidequest activities. Get your ratings up to 10,000, then survive one last heart-shooting sequence to end the battle. (Fun fact: You need to write an 'essay' partway through the fight. Type gibberish and you'll get a few points.